You spoke, and Roland listened. The Entire Roland Aira family has been updated with exciting and usful features requested by users from arou..
You spoke, and Roland listened. 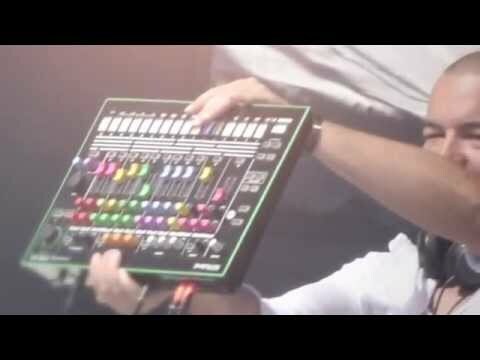 The Entire Roland Aira family has been updated with exciting and usful features requested by users from around the globe. 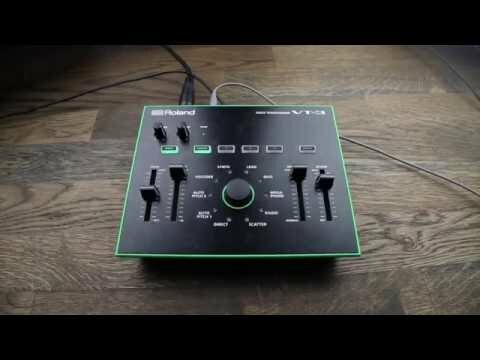 The Roland AIRA VT3 is a part of Roland's new venture into creative electronic music territory - a lightweight, portable vocal effect processor, with a wide range of fun and creative effects for inspired performances. You can instantly choose from 9 types of voice 'characters' - ranging from Robot-like autotune and pitch / formant correction and a VP-330 style Vocoder. VT-3 also allows you to transform your voice into a synth, lead or bass style instrument for amazing results in the studio, or why not experiment with some of the more creative and weird effects at your fingertips? A unique 'Scatter' effect offers a glitchy, broken-like sound that works well on stage or with electronic music style tracks, also a Lo-Fi 'Radio' and 'Megaphone' effect to boot. Combine these with the dedicated Reverb slider on the right and mix them for the perfect tone and balance. All the effects are easily controlled thanks to hands-on sliders and a dedicated 3-patch memory bank to recall your favourite presets. USB Connectivity opens this up as an audio interface with your DAW or music software and is even bus-powered to make it easy to play on stage with a laptop.